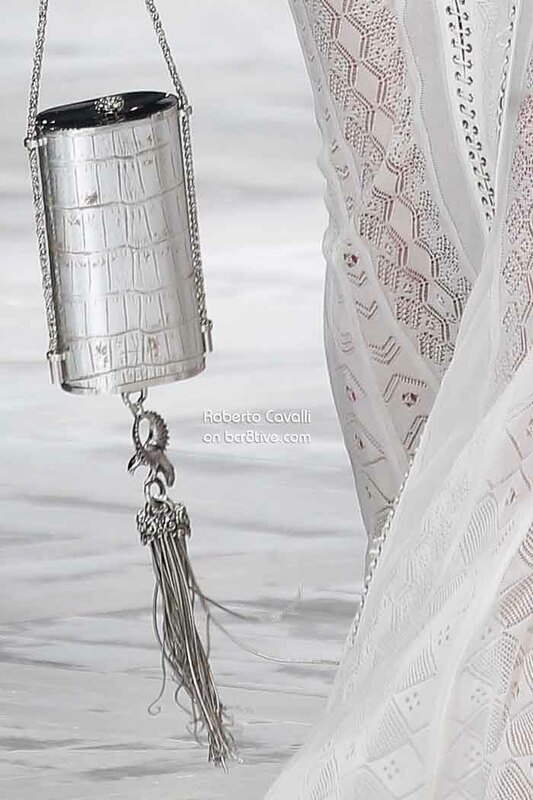 If I have said this before I apologize, but I love Roberto Cavalli. 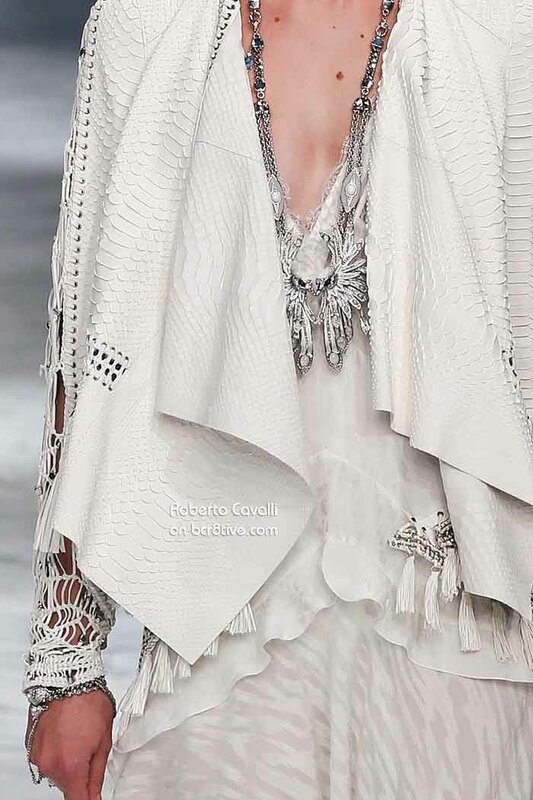 It appeals to my inner haute hippy though it’s only for a very chic bohemian. 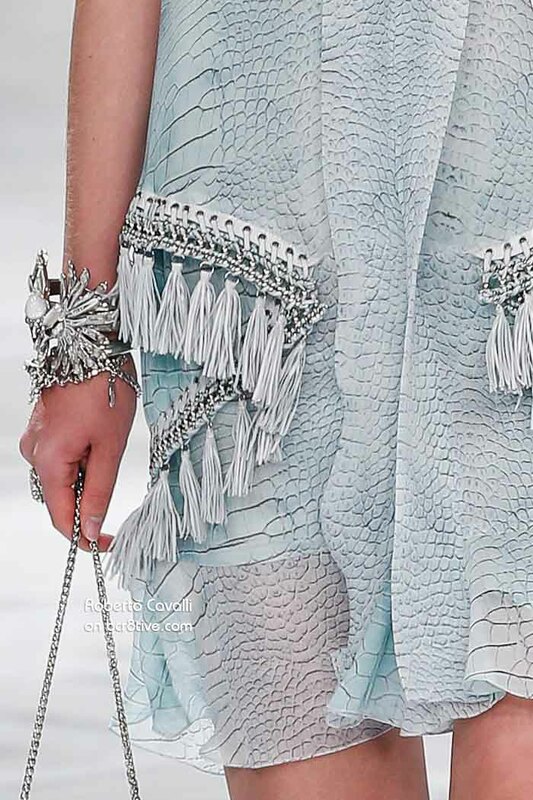 I love the slinky maxi dresses and fringe and the amazing details. His textures are always phenomenal. 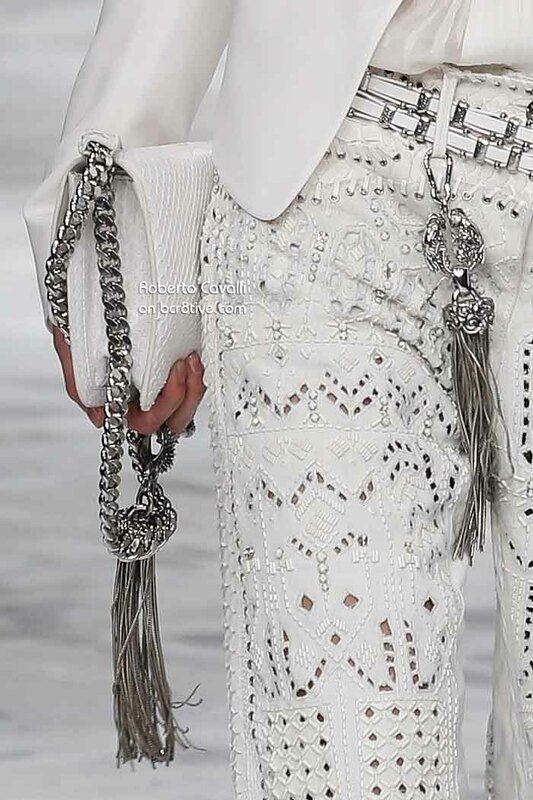 The design details are so intricate. His beading is exceptional. I’m especially fond of the palette in this collection. I always like white and black too of course, but the sea greens are beachy and the light salmon pinks remind me of a summer sunset. 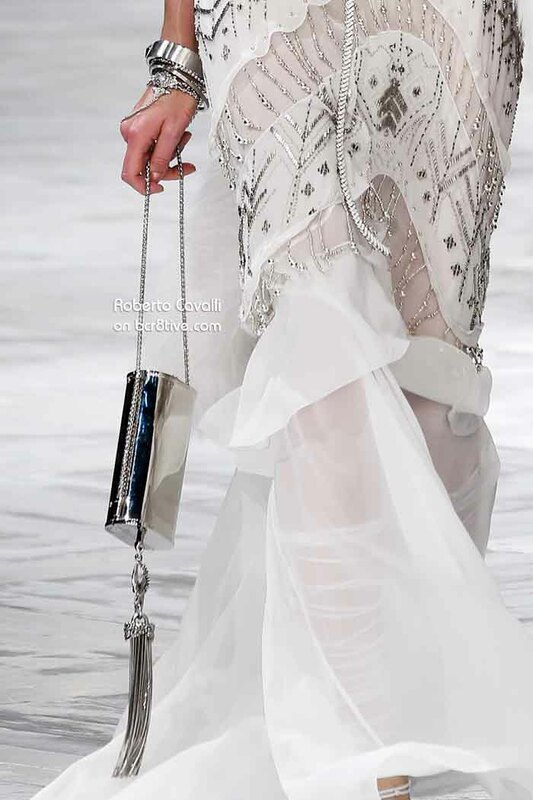 I’m crazy about the sassy, swingy, tassled purses and all of the silver accessories. 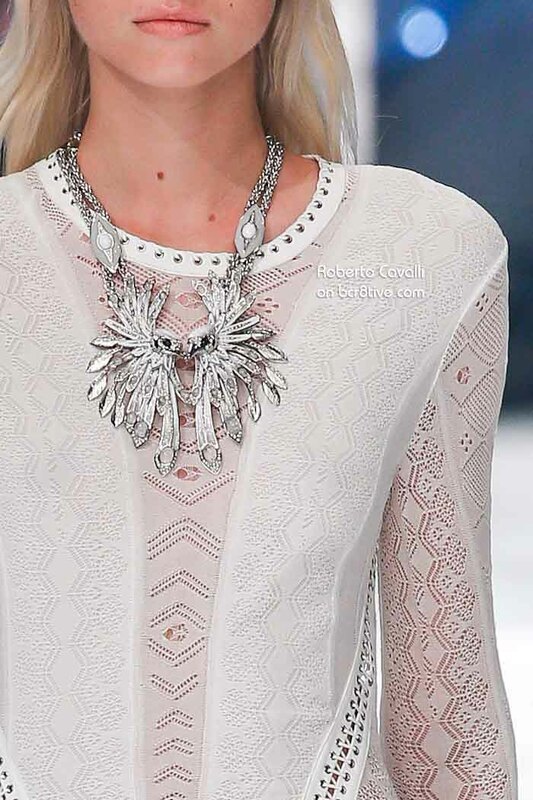 The silver cuffs and statement necklaces rock. The lace up shoes are uber creative!